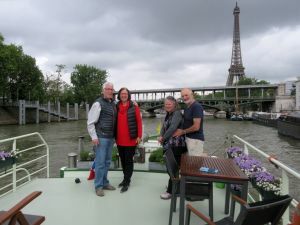 Experience the French way of life on one of our relaxing barge cruises in France, sailing the winding rivers and calm canals of this beautiful country. Get a taste of French culture, nature and delicious cuisine on a slow paced holiday barge cruise. Sail with the hotelship Johanna from Bruges to Paris discovering Picardie. Arrive in Paris as you never ‘ve seen it before. Explore the delicious bubbles of the Champagne region along the river Marne or taste refreshing Sancerre wine on your Upper Loire cruise. 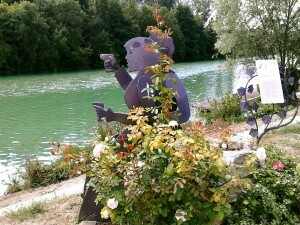 Sail up the rivers Seine and Loing into the flower region around Montargis, the “Venice of the Gatinais”. On your barge cruises you’ll visit wineries and old castles, enjoy beautiful landscapes and taste delicious food. There’s something for everybody on a barge cruise through France.